Over 40 Amateur Of The Week: Laughing In The Face Of Age! 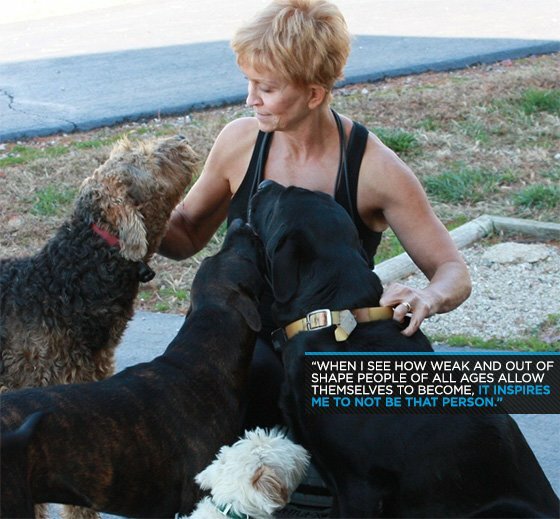 Holly describes herself as retired, but her resume says different. 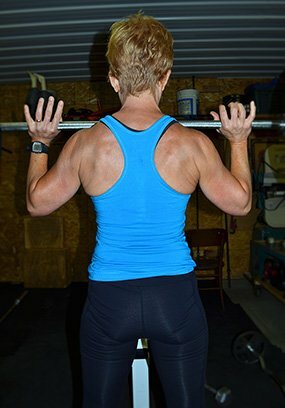 This 59-year-old trains 40-50 clients out of her garage and shows them no mercy! I'm a 59-year-old retired woman. You might say I'm a senior citizen, but I believe age is only a number. When I was in high school, there were no sports programs for girls, so I didn't grow up an athlete. I was always on the "heavy" side, but got interested in fitness in my late 20s and started running and doing a few exercises. I got a late start on my career and was hired by the Illinois Department of Corrections at age 36. I worked for nine years of my 22-year career at the Illinois Department of Corrections Impact Incarceration program or "Boot Camp" as it was known. During my years at "Boot camp," I learned to lead military-style exercise drills. I also saw some of the most miraculous transformations imaginable. Down and out drug addicts and out of shape couch potatoes became healthy, strong men through nutritious food, hard work, and bodyweight exercise. I and my fellow officers exercised with the inmates and I became hooked on fitness. I was promoted to parole agent and work took me to Springfield, Illinois, several times per week. During my lunch hours, I went to Gold's Gym and discovered CrossFit, which I believe changed my life. I retired in 2010 and enjoyed my hobby of wildlife art for a while, but eventually needed more, so I started my fitness pursuit. I had to work around some back issues, but I earned certifications from AFAA, ISSA, Silver Sneakers, Senior Longevity, AFAA Biggest Loser Pro, and CrossFit L1. I tried to integrate myself into a hospital wellness center in a nearby town as an instructor, but age discrimination was a factor. In the long run, they did me a favor by treating me poorly because it forced me to go out and start my own business. In April 2012, I started my own small garage gym in a rural area. I have slowly added equipment and now have a fully-equipped gym. I have a clientele of about 40-50 people. I do most of my training in my garage with free weights and bodyweight. I base my classes on HIIT and CrossFit training and try to help my clients gain confidence in their strength. I also teach "Biggest Loser Live Training" and a senior fitness class at a hospital in a town near me. "Biggest Loser Live Training" consists of a healthy eating plan and exercise. I have also started a Saturday summer boot camp training session. 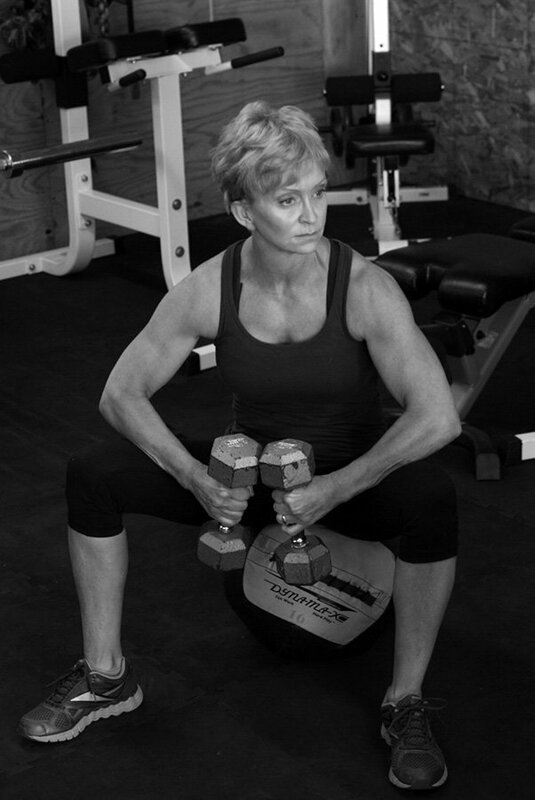 My clients range from 17-67 years old. I made the most progress after becoming involved with CrossFit. After I retired, I continued to do high-intensity workouts on my own. I row on the machine 4-5 times per week for 5000 meters. I adhere to a paleo-type diet. I don't eat grains, dairy, or processed food. This way of eating simplifies my food choices and is easy to stick with. Grocery shopping is easy. The only drawback to this plan is that I have to cook more often and plan in advance. I had a complete blood work done to pinpoint vitamin and other nutritional deficiencies. I became interested in fitness many years ago. I used to run some and toyed with weight lifting. When I was fortunate enough to get an assignment at a Department of Corrections Impact Incarceration Facility, I witnessed firsthand what exercise, hard work, and good food can do for down and out, out of shape, and de-conditioned men. There was no turning back when I started to work out at a CrossFit gym and realized my potential. 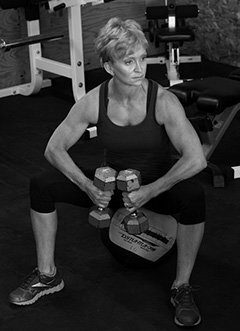 After I retired three years ago and started lifting, I saw big improvements in my health, despite my age. Now I work to improve and fight the effects of time and life. Department of Corrections Boot Camp motivated me and showed me that the human body is capable of miraculous changes in a short period of time. Now my clients keep me motivated. I find inspiration in others who don't take care of themselves. It's a waste of your health and wellbeing to be overweight and out of shape. When I see how weak and out of shape people of all ages allow themselves to become, it inspires me to not be that person. My future plan is to stay busy with my fitness business, eat right, and keep working hard. If you're a woman, lift like a man. Cut out processed food and sugar and don't sell yourself short. You can always do more. Variety and intensity is crucial to overall fitness. The best parts about Bodybuilding.com are the information on supplements and the great products at great prices.